To celebrate 25 billion app downloads, Google is taking the entire week to slash prices on some of the more popular apps in the game. 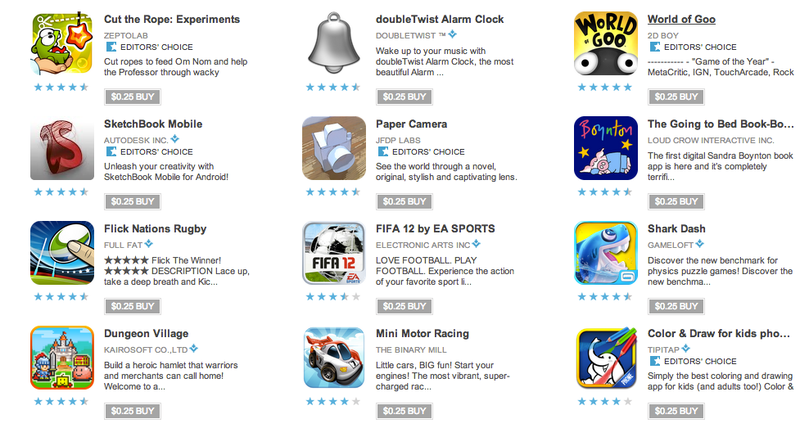 Today’s list of apps is now live, all of which can be had for $0.25. Games like Cut the Rope: Experiments, World of Goo, and FIFA 12 are showing up. You’ll also find hits such as Paper Camera, SketchBook, and DoubleTwist Alarm. Time to go shopping!